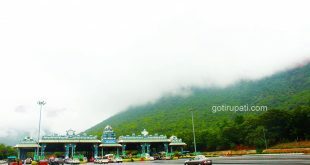 Physically Challenged devotees do have special Entrance in Tirumala through Special entrance for Darshan. 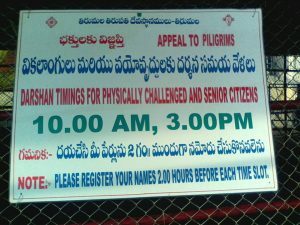 Physically Challenged devotees are allowed for Darshan Daily in two schedules. Darshan Timings for Physically Challenged devotees : 10 A.M and 3 P.M. 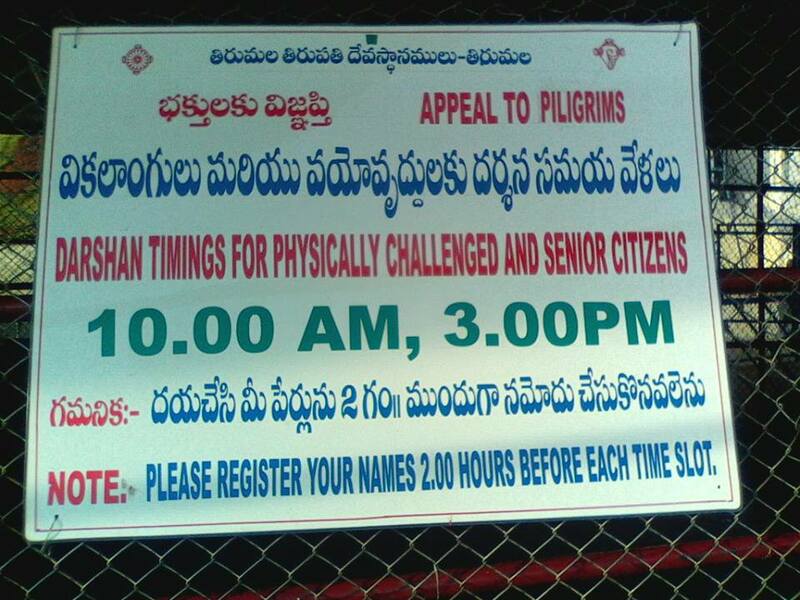 Reporting Time at Entrance Near Tirumaa Nambi Temple in South Mada Street is 8 am and 1 pm. Suptham Entry has no ticket for Privileged peopled, no need to purchase ticket for this. 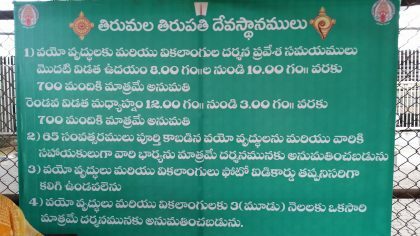 Inorde to avail this benefit, devotee should be there are at Entrance well in advance, as Tirumala Tirupati Devasthanams Staff will allow pilgrims in batches. One batch is allowed at 10 A.M and second batch is at 3 P.M , if you are late then you need for second batch. 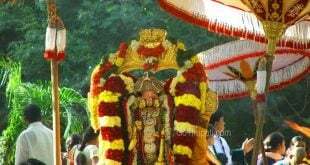 1) Supatham is 100 feet to 200 Feet from Vaikuntam Queue Complex entrance. 2) Plan to be early at Supadam Entrance. 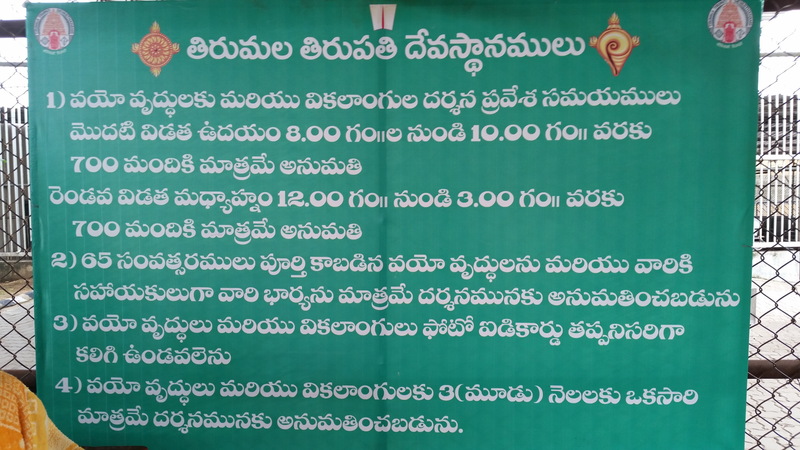 Srivari Sevakulu will be assisting the devotee during Darshan timings. Devotee should report 2 hours in advance at Senior citizen entrance for enrollment. Facilities such as milk, water will be provided to the devotee during darshan time. Srivari Sevakulu will be available all the time for their support. If devotee is unmarried one person will be allowed for assistance. 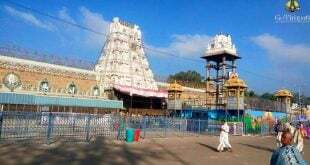 If person is married, then spouse and his/her kids (below 12 years ) will be allowed for darshan. For each slot you need to get the tickets two hours before the slot .